American Pharoah won horse racing's coveted Triple Cown Saturday, an honor that hasn't been bestowed on a racehorse in 37 years. Only 11 horses have won all three of the sport's biggest races -- the Kentucky Derby, the Preakness and the Belmont Stakes -- since they began in the 1800s. Here's a look at the numbers behind the big race. American Pharaoh and his jockey in the winner's circle at Preakness. 90,000: The limited number of tickets to be sold at Belmont on Saturday. Recent crowds to see Triple Crown attempts topped 100,000. About 300,000: Total Belmont attendance expected for the rest of the 97-day racing season. $19.2 million: Amount wagered at Belmont Stakes last year. Affirmed, 1978: Last Triple Crown winner. 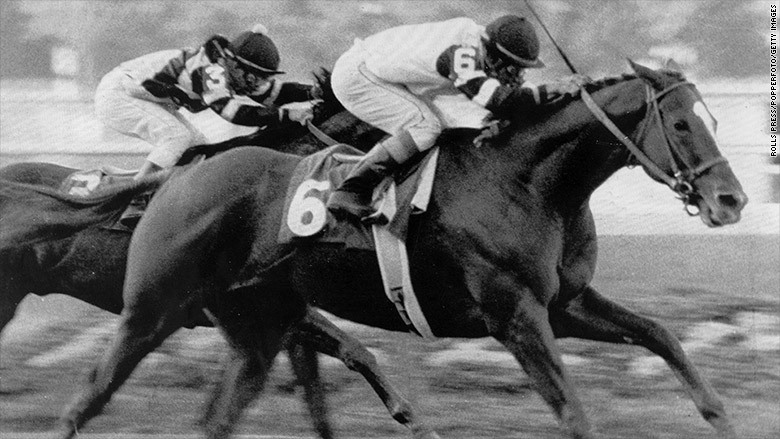 Affirmed heads for the finish at Belmont nearly 40 years ago. 12: Number of horses that have had a shot at the Triple Crown since then. California Chrome was the most recent contender in 2014. One other Derby and Preakness winner, I'll Have Another, was injured and could not race at Belmont. 1.5 miles: Distance of the Belmont, which is a quarter-mile more than the Kentucky Derby and 5/16th of a mile more than Preakness, which is a major reason winning the Triple Crown is so difficult. 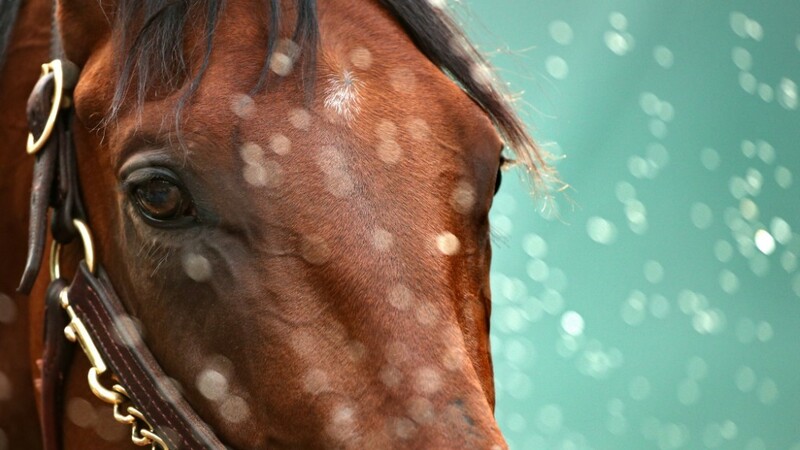 $6 million: American Pharoah's estimated stud fees next year. 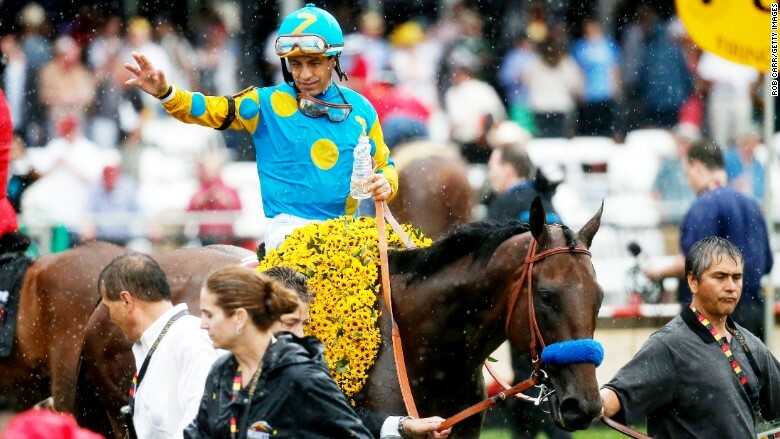 Undisclosed amount: How much Monster energy drink paid to sponsor American Pharoah.